Sticking To Your Resolutions – A Healthy Balance, Inc. Here we are, already 3 full weeks into 2017. How are those resolutions going? I personally have had some on track days and some not so on track days with my goals! Sticking to a healthy New Year’s resolution is no easy task. We put all of this pressure on ourselves to make these big lifestyle changes at the stroke of midnight on December 31st, but are we ever really setting ourselves up for success? Here are some tips for staying on track (or getting back on track as the case may be). 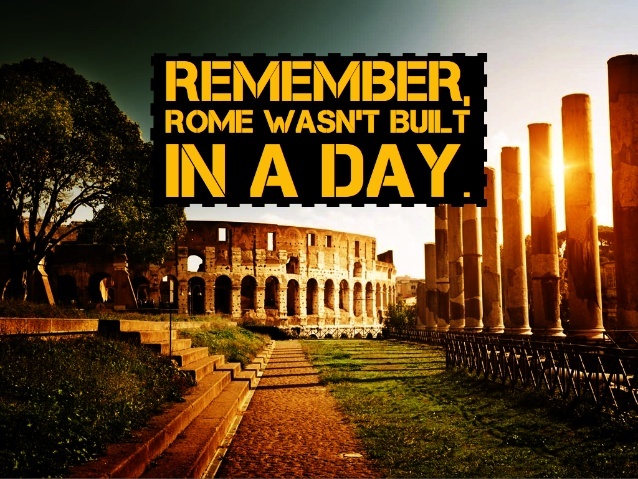 “Rome wasn’t built in a day.” So often I see people start with HUGE goals. Don’t get my wrong, big goals are great. But big goals, require you to do your homework and break them down into smaller, attainable goals along the way. 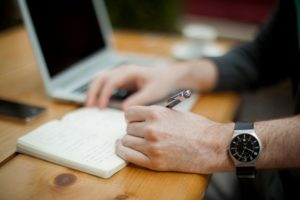 If you start off with big goals that are going to take a lot of work and time to reach, you will likely end up disappointed and discouraged because you aren’t reaching it. A quick example, you want to run a marathon in 2017, but you have never even run a 5k in your entire life. Going out and trying to run 26 miles off the couch is not the best idea and you probably know that. Can you finish a marathon by years’ end? Absolutely! They will just have to be patient with yourself. You could start with 1-2 mile walks and slowly turn that into a jog and an eventual steady run. From there, mileage can increase. So maybe the first measurable breakdown if the “marathon goal” is to run a 5K, then run a 5K without walking, then progress from there. Maintaining a high level of motivation throughout the year can be a tough endeavor, but your friends and family can be a great help. Try finding a friend who wants to be you “accountability buddy.” Ideally you have a friend that has the same schedule as you that wants to work out at the very same time as you every day. Knowing that you have someone depending on you can be a great motivator. Since we all have crazy unpredictable schedules it can even work to pick a friend or family you trust to send you a text or call you checking in on you. “Hey Jimmy, you going to the gym today?” “Hey Vanessa, did you get your run in today?” Simple reminders can be a huge help. Even just telling people about your goal instead of keeping it to yourself can help you stay motivated. Finding a fitness trainer in your area can be helpful as well. Paying up front makes you more invested (literally) in the process and they will also make sure you show up for scheduled appointments. With modern-day technology, there are plenty of resources out there to help us with our wellness goals. Everything from food logs to activity checkers, they have an app for that. And most of these apps are free to download. Check out some of our favorites here! I can see it. You are sitting down to write out your schedule and to do list for the week… “Call the vet, Grocery shopping, Pick up dry cleaning…” and the list goes on. You add in appointments and meetings. But do you ever schedule in time for you? The biggest reason I see people fall off of healthy habits and especially exercising is “time.” Unfortunately I have not figured out how to make more hours in a day (yet) so we need to figure out how to fit our healthy habits into our day. Schedule your workouts into your weekly planner and treat them like important meetings with your boss. It is so important to take care of yourself and most of us put ourselves at the bottom of our own priority list. I can’t stress this one enough! Sometimes when we set our goals and start working towards them, progress is hard to see. And when we feel like we aren’t making progress, we get discouraged. Think of different ways that you can track changes: body measurements, reps, sets and weight with exercises, the ease with which you can complete daily tasks, etc. Acknowledging and celebrating progress throughout the year to keep you motivated.